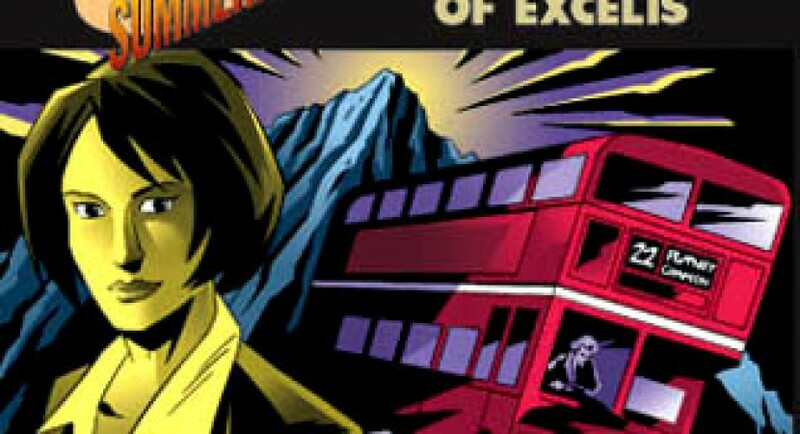 Iris Wildthyme and Bernice Summerfield team up with banter and booze for this fun BF spinoff edition of the Excelis minseries. After a trying week, Benny has “borrowed” one of Brax’s shuttles and gone in search of R&R to clear her head. Unfortunately, she lands on the dying planet of Arteris. Its only surviving city, Excelis, has seen better days. The empress is hanging onto her throne by a fingernail, a torch-bearing mob is flocking to a doomsday prophet, a barbarian horde is at the gates, and the world is literally going to hell in a handbag. A handbag that Iris is convinced will accessorise perfectly with her best party frock. Pros: this is an imaginative adventure with a good plot, decent if hastily-sketched guest characters, memorable grisly visuals, and most of all the snarktastic and reluctant (on Benny’s part) comedy duo of Lisa and Katy. Cons: We finally learn the convoluted backstory of the accursed Relic that the inhabitants of Excelis have been scheming and plotting over for thousands of years. I confess I had to listen to Iris Backstory Dump twice to figure out what the heck was going on. It seems a bit far-fetched. Then again, everything Iris says seems a bit far-fetched. But who cares; we’ve got a feudal, post-nuclear-holocaust society, there’s prophecies and omens and a siege, there’s creepy imagery, there’s a bout of getting thrown into prison, and most of all, there’s poor Benny who just wanted to find somewhere to get drunk. Surprisingly enough, sharing a friendly drink with Iris is not conducive to a quiet life. If you follow the history of Arteris, the sequence of Excelis audios should be Dawns, Rising, Decay, and finally Plague Herds. However, due to tie-ins, I think it makes more sense to listen to this one right after Excelis Dawns. (Excelis Rising is a good listen; Excelis Decays isn’t). No! NOT THE MIND PROBE! It’s cute the way this story never actually mentions the TARDIS or the Doctor, but the hints are everywhere. A trick which many Big Finish scriptwriters perfected in the nineties when they were releasing unofficial Who-like stories. I’m not sure whether there were licensing issues for a non-Who range or whether Iris was just being coy.